(CN) – Revisiting a controversial case that split appeals courts three years ago, a three-judge Ninth Circuit panel indicated Thursday it will keep alive a lawsuit accusing Nestle and Cargill of aiding and abetting child slavery to get cheap cocoa. The six plaintiffs, identified in the lawsuit only as John Doe, were kidnapped from Mali as children in the 1990s and forced to work on Ivory Coast cocoa plantations for up to 14 hours per day, six days per week. They say they were given only scraps of food to eat and beaten and whipped with tree branches. Children who tried to escape were forced to drink urine or had their feet cut open and pepper rubbed into the wounds, they say. They also claim Nestle and Cargill representatives visited the farms several times each year and knew the farmers used child slave labor. Circuit Judge Morgan Christen, the panel’s most outspoken member in the Pasadena hearing, appeared to agree the plaintiffs can sue Nestle and Cargill under the Alien Tort Statute for giving their slave masters personal spending money to guarantee access to cheaply produced cocoa beans. Christen’s concern over the spending money came in response to U.S. District Judge Stephen Wilson’s March 2017 decision to dismiss the case for failing to allege domestic conduct sufficient to sue under the statute. Christen agreed with Wilson that most of the alleged decisions fell within the realm of normalcy. But she was skeptical about whether the provision of personal spending money also did. At issue is which standard the plaintiffs must satisfy to sue Nestle and Cargill under the Alien Tort Statute. They argue Nestle’s and Cargill’s decisions to aid and abet slavery touch and concern the United States because the decisions to give the farmers money and technical support were made at the defendants’ headquarters here. Nestle and Cargill, however, maintain the plaintiffs must satisfy the “two-step framework” established in RJR Nabisco, Inc. v. European Community, decided by the Supreme Court in 2016. Nestle and Cargill say the suit is barred because the “focus” of the plaintiffs’ injury is the slavery that occurred in Ivory Coast, not the alleged aiding-and-abetting that occurred in the United States. Paul Hoffman, one of the plaintiffs’ lawyers, insisted the touch and concern test was sufficient to plead an Alien Tort Statute claim because the Supreme Court’s opinion in Jesner v. Arab Bank last month referenced the test and omitted RJR Nabisco. Although Jesner held foreign corporations may not be sued under the Alien Tort Statute, it left open the question of whether domestic ones can. Hoffman, who is with Schonbrun Seplow Harris & Hoffman in Los Angeles, added his client’s claims also satisfy the two-step test. “We satisfy even the most stringent test in the sense that we allege aiding and abetting on U.S. territory,” he said. Christen appeared satisfied with Hoffman’s argument. But she suggested the defendants’ internationally based parent companies should be dropped from the suit on a potential remand. Dropping them could throw the suit’s viability into question because, according to the defendants, it isn’t clear which companies made the aiding-and-abetting decisions. 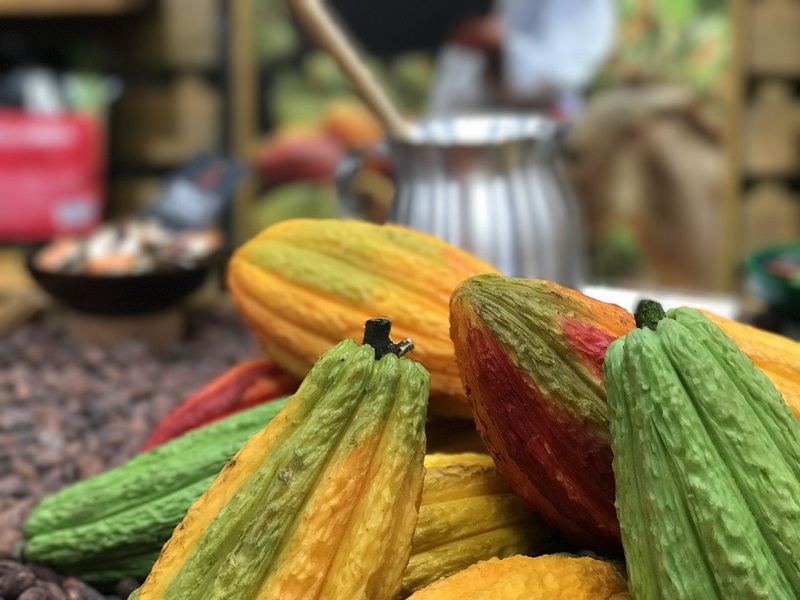 “The closest they come to tying these plaintiffs to any of the defendants is alleging the cocoa cultivated on this plantation was supplied to any of these defendants,” said Theodore Boutrous Jr., Nestle’s attorney with Gibson, Dunn & Crutcher in Los Angeles. Christen, however, shot down Boutrous’ contention that the plaintiffs’ injury is the slavery in Ivory Coast and not the aiding and abetting in the United States. Wilson first dismissed the case in 2010, reasoning that a corporation couldn’t be sued under the Alien Tort Statute. Circuit Judge Dorothy Nelson and Senior U.S. District Judge Edward Shea from the Eastern District of Washington joined Thursday’s panel. Andrew Pincus of Mayer Brown in Washington argued for Cargill. This week, another Ninth Circuit panel unanimously ruled chocolatier Mars has no obligation to say on its wrappers that the cocoa it uses may have been the product of child slave labor. The panel in that case found labor practices used to make Mars chocolate aren’t a physical product defect for which California law requires disclosure.